One of the most controversial aspects of genetically modified (GM) foods relates to the yields from GM crops in comparison with yields from conventional, non-GM foods. There has been much debate about the extent of the increased yields from the production of GM crops. In fact, some people have cited that studies indicate GM crops can show significantly lower yields than non-GM crops, which suggests that such crops defeat the purpose of using GM crops in the first place. A specific benefit that is reported to result from the use of GM crops is that they have higher yields than the production of conventional, non-GM crops. This benefit is suggested to occur because GM crops are typically pest-resistant and herbicide-resistant, which means they would hypothetically grow more freely and abundantly. Without the competition from weeds, which can reduce the crop access to light, water and important nutrients, the logic is that there will be higher yields. In one study several years ago, cotton crops in India that had been genetically modified to be resistant to specific insects did produce significantly higher yields. In the study, cotton was grown that had been engineered to have a gene from a bacterium called Bacillus thuringiensis (Bt). The result was that the plant is toxic to a number of different kinds of bollworm, all of which are known to harm crops in India. 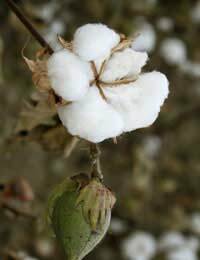 To assess the crop in comparison with conventional cotton crops, the Bt cotton was grown beside non-GM cotton. Yields showed significant differences, with the Bt cotton having a yield that was improved by more than eighty percent. On the opposite side of the debate are studies indicating that GM crops have not shown improved yields. In fact, some research shows that GM crops have barely achieved equivalent yields and have produced lower ones in some instances. Given that some of the companies who sell GM seeds cite improved yields and an improved ability to tackle poverty and hunger, the question of whether this is true is important to answer. A report that was provided by the United States Department of Agriculture (USDA) found that the GM crops currently available are not able to improve the yield potential of hybrid varieties. Another study suggested that yields can actually decrease if the varieties that are used for carrying herbicide-tolerant genes or also ones resistant to pests aren't the strongest yielding cultivars. Another recent report from the United Nations Food and Agricultural Organisation found that GM crops can show reduced yields and a smaller amount in some instances. Still, it is extremely difficult to assess the yields and amount of GM crops in comparison with non-GM, conventional crops. There are many other factors at work, including the growing conditions. Also, the extent to which a specific geographic area is infested with insects or weeds will impact any studies. On top of that, the weather for that region will influence the yield as well. For example, one study found that under drought conditions, soybean losses tended to be higher in GM crops than in non-GM varieties. While some GM crops are engineered to withstand specific weather conditions, others are engineered to address pests or weeds. Clearly, it is a challenging task to form any solid conclusions about GM crops – based on the current evidence and mixed reviews and studies. Many organisations have also skewed the results to suit their own agenda, whether that agenda is one with the aim of furthering the biotechnology industry or one that involves promoting the competing organic food industry. More research is needed and it should be performed more rigidly and by an autonomous group that does not have specific interests in the field, which could easily sway the quality of the research, the results and the interpretation.